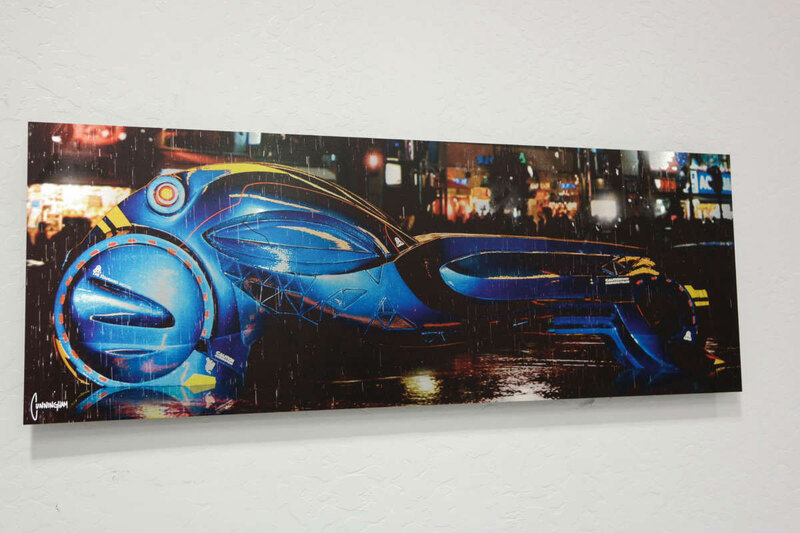 The experts at ArtisanHD are always encouraging artists to experiment with the silver-brushed surface of Dibond, which has the ability to enhance artwork.Utilizing their flatbed InkJet printer, the CMYK ink is directly sprayed onto the boards. The semi-transparent ink allows for the brushed texture to show through. 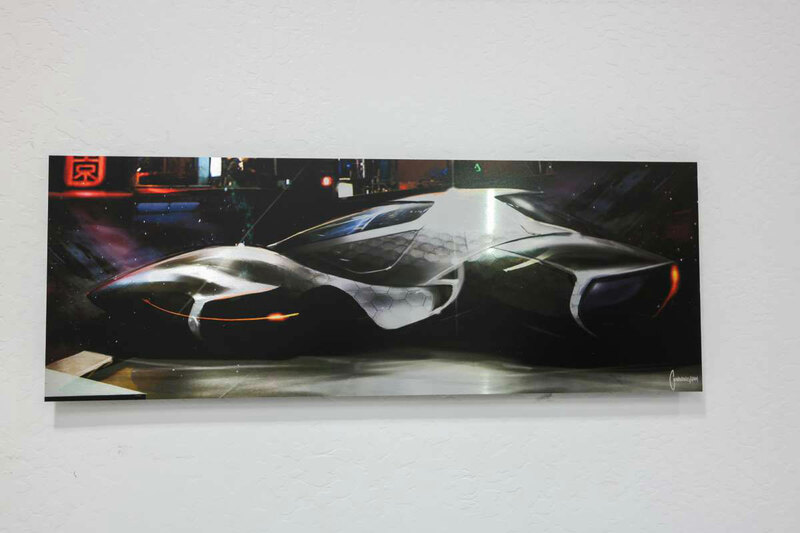 As advocates for the ability of brushed Dibond to transform photography in particular, the team at ArtisanHD encouraged these custom prints for works sent to them by accomplished designer Matthew Cunningham. Cunningham is renowned for his futuristic digital illustrations and conceptual designs. Some of his popular works have been seen in popular Hollywood films and television including but not limited to: Westworld, Source Code, and Marvel’s Runaways. 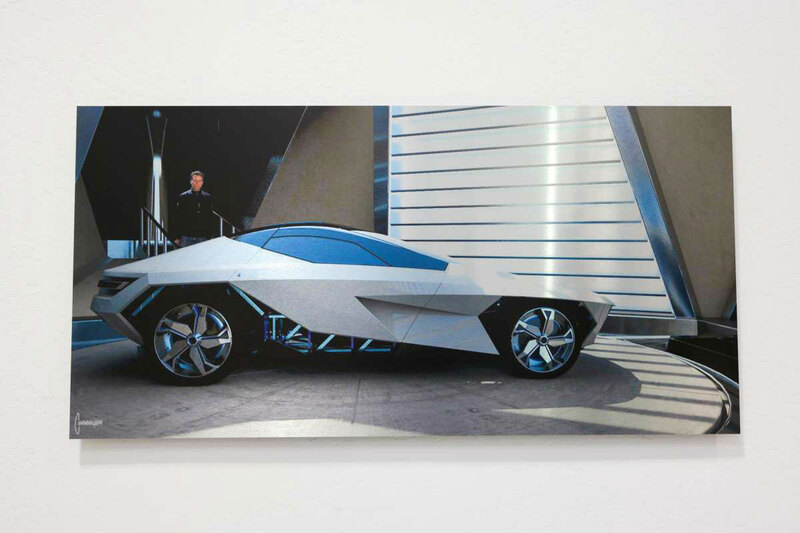 His Dibond exhibit showcases his impressive geometric automotive concepts. 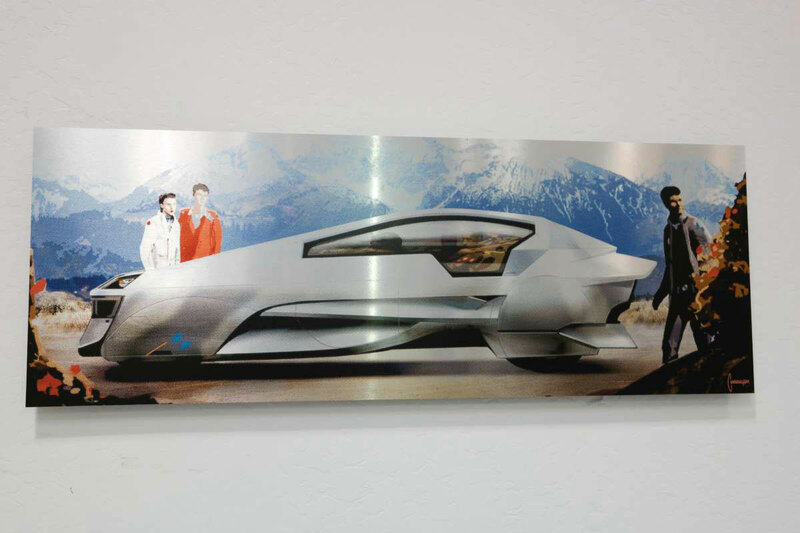 The result is a set of incredibly futuristic prints that further transform Cunningham’s designs.